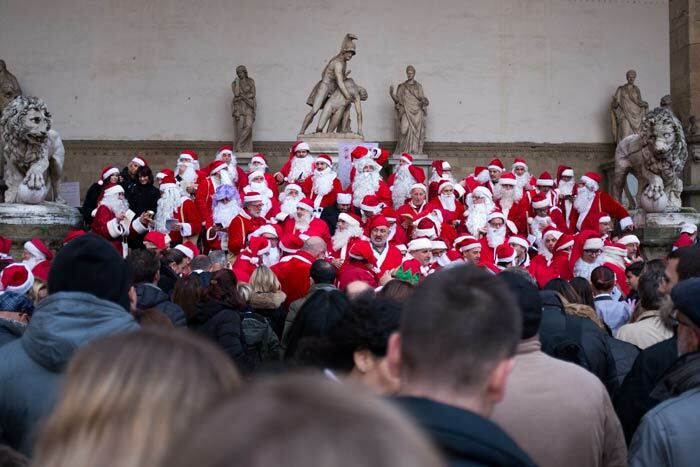 Santa Clauses singing in the Sculpture Area by the Palazzo Vecchio in Florence. I wonder if there is a collective noun for a gathering of Santas. They look very festive. Haha – maybe that is it – A Festive Of Santas.